Swarovski Waterschool China was founded in 2008 and is currently active in nine regions along the Yangtze River, from its source in the Tibetan plateau to its mouth at the China Sea. Since its start, the program has expanded into other river basins, including the Pearl River in the south of China, the Yarlung Tsampo River in Tibet and the Hai River in Beijing. 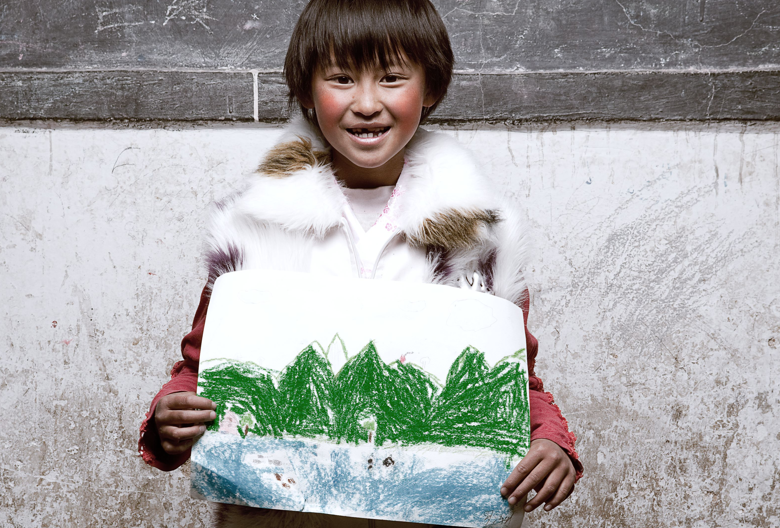 The objective of Swarovski Waterschool China is to foster environmental stewardship through participatory learning and action, by schools and communities, in the selected watersheds of four major river basins. It seeks to enhance education, encourage stewardship, and build community vitality. The topic of water is taught by specially trained school teachers and built into lessons, in a wide range of subjects, in imaginative ways, as special activities are developed for the students. Students have a minimum of one hour of water education per week and a total of 30 hours annually. In addition to the classroom lessons, the students are given support to initiate projects in their home lives with family, village community, and local interest groups, thereby becoming ambassadors for the promotion of the sustainable use of water. Students and teachers also learn cultural values from communities and villages, explore rivers to gain local knowledge and report back to communities and local government offices. The Waterschool program involves stakeholders from schools, local communities, media, and government bodies as well as environmental specialists and emphasizes both formal and informal learning of local knowledge, traditional values and cultural heritages.